I came across an interesting research findings in a book on Small Data. 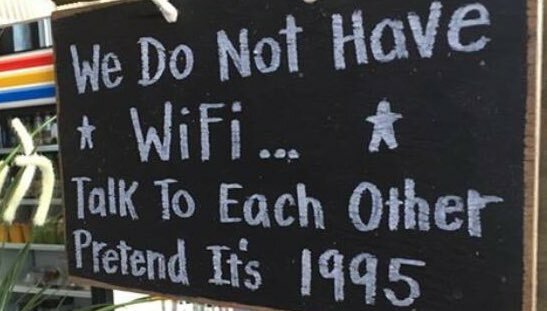 It talks about how the time taken to finish a meal has increased in restaurants as customers are busy with their smartphones (Facebook, Whatsapp). I am not surprised with these statistics as we often see families and friends spending a lot of time on their smartphones instead of spending time with each other. About 50% of diners ask the server to take their group photo. These days time is spent a lot on taking photos of food, posting them on Facebook to let the entire world know what you are about to consume and you impatiently wait to see the ‘Likes’. In the meantime, the food gets cold and is sent back for reheating. Technology is good. The Internet is good. Smartphones are good. But they need to be used wisely, especially when you are amongst the loved ones. Few funny images which you might have already come across.